(TibetanReview.net, Mar19’19) – As Christians in China fear for their faith and their right to practice it as it is meant to be, given the current highly intrusive Sinicization drive, the Vatican has sought to reassure Beijing that it should not fear “distrust or hostility” from the Roman Catholic Church. 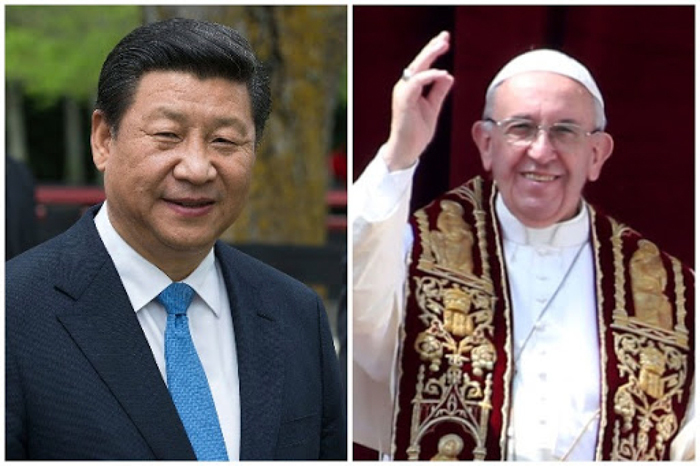 The assurance was given by the Vatican Secretary of State Cardinal Pietro Parolin, who ranks next only to the Pope, amid speculations over whether President Xi Jinping will meet Pope Francis this week, reported Reuters Mar 18. The report cited Senior Vatican sources as saying the Pope was willing to meet Xi and that intermediaries had made overtures to the Vatican. However, China has not yet formally asked for a meeting. Xi is visiting Italy for the first time, starting Mar 21. In a historic agreement in September, the Vatican and the Chinese government signed a deal on the appointment of bishops in China. Many have viewed that agreement, whose details have not been revealed, as an abject surrender, and a sellout, by the Vatican to China. “The Holy See (nurtures) no distrust or hostility toward any country,” the report quoted Parolin as having written in the introduction of a new book on China to be published on Mar 19. The report noted that it was routine for heads of state and government visiting Italy to also meet the pope. It cited a Vatican source as saying a meeting could be inserted into Xi’s schedule “at the last minute”. China’s approximately 12 million Catholics are split between an underground Church swearing loyalty to the Vatican and the state-controlled Catholic Patriotic Association. The Vatican has said the September deal was only meant to unify the church in China. However, many see it as a precursor to resumption of diplomatic ties between Beijing and the Vatican, which has remained cut off since 1951. But such a development would mean the latter’s severing of relations with Taiwan and further isolation of the island nation which China looks to annex, including by armed invasion if necessary, someday.